In one of my earliest memories I am sitting alone on my parents’ living room floor, the gray, wall-to-wall rug is flattened beneath my tiny legs, the TV is playing a show which I do not remember. Sitting there, I had a premonition and felt it to be true with my entire existence. I knew that I would die young. So as never to forget, I pulled over the pale pink lid to the stationery box given to me by my grandmother and noted the age at which I’d take my final breath– 34. I carried this edict with me throughout life, certain that it would come to fruition. I was determined to see to it that my short time alive would not be wasted. By the time I was 8 I’d decided that I would become an author, that I would tell my story. I began crafting my first tales on the typewriter perched beneath the slanted ceiling of my parents’ dusty attic. While it may seem odd that someone so young would think of death, it was perfectly natural to me. I was dealt a stacked set of cards at birth, born with an incurable kidney disease, a genetic disorder that couldn’t be traced to anyone else in my family. The doctors didn’t know if I’d survive infancy let alone live to be an adult. And because of this, I learned to accept the fate that my life would be limited. Although there are an estimated 600,000 people living in the United States who have Polycystic Kidney Disease, it is an illness that goes largely unnoticed. By looking at me you would never guess that my kidneys are filled with tiny, round sacs that absorb fluid, grow in size, and slowly lead to the degeneration of kidney function over time. 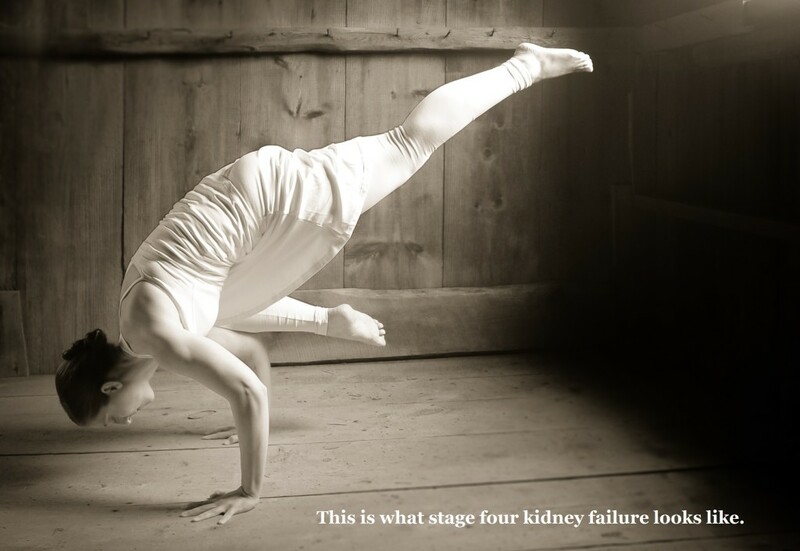 By looking at me you would not know of the multitude of other health problems that I’ve developed over the years as a result of my kidney decline. There are many people who live with chronic kidney disease for years, only recognizing symptoms when they have already entered the final stages of decline and require dialysis or transplantation. Growing up I was sworn to secrecy by my parents who wanted me to avoid being treated differently by others and feared admission of my condition would cause unnecessary stress to family members. My silence and absence of outward symptoms made it easy for me to pretend that I was normal. I was reminded of my plight during bi-annual visits to the doctor when I’d have to provide a urine sample in a tiny plastic cup, expose the veins of my inner arms to long silver needles, and lie still while the technician jammed a cold and slimy ultrasound wand into my stomach and back. And twice a year I would be reminded that things were getting worse– the cysts were growing larger, my kidney function was slowly declining. At the age of seven I learned that my life was strung precariously between sickness and health and that it could tip toward trouble at any instant. The pain began in my back much like a sore muscle–tender and warm. I did my best to ignore the dull ache and downplay the seriousness as it steadily grew worse. When finally the pain was so bad that I could barely stand up and walk, I told my parents and they took me to the hospital. I remember trying to resist the wheelchair the nurses offered me in the emergency room and I remember my father as he lifted my tiny body effortlessly onto the worn brown leather. One of the cysts had become infected. I was admitted to the hospital and monitored for weeks. I underwent a barrage of tests, was forced to drink giant glasses of disgusting dye and made to lie still on tables for what felt like hours, breathing only on command. I spent hours staring through the tiny plastic measuring cup the nurses had taped over my arm to protect the IV plug that dangled from my inner elbow. I remember filling the time with a giant coloring book and games of Monopoly where it seemed I was always going directly to jail. The recovery was slow– several weeks spent in the hospital, then several more of daily doctor’s visits. Eventually I would return to school and life as usual. My first day back I tried to disappear into the decorative depressions that lined the wall and wrapped my arms around my pink stuffed elephant as if it were a floatation device saving me from drowning in my thoughts of self-pity. I wondered why I couldn’t be like all the other first graders who didn’t have to worry about dying. After another near death hospitalization at 15, things evened out for a while. I shifted my thoughts away from mortality with an overloaded college course load. At 20 when the man I’d fallen in love with was deployed to Iraq I focused my attention on his survival, not my own. My battle seemed far less impending. Eventually my disease and survival became like a badge of honor that I wore beneath my skin. Each new day was a testament to my inner strength and resilience. In my early twenties I convinced myself that I would cure my kidney disease forever. My dreams of a miraculous and unexplained transformation began when I wandered into my first yoga class hoping to relieve stress. Afterward, having hated the experience, I began researching the health benefits of yoga. I read of transformations from injury and disease to health and wellness and decided that I too would heal myself of all ailments. While my mental and physical health did improve dramatically, the cysts in my kidneys proved no less formidable even after I went from two classes a week to seven, started eating only raw vegan food, meditated my way to peacefulness, and studied to become a Reiki Master. I laugh now thinking of the extremes I went to in the name of health and how I clung to the idea that I really was going to eliminate something that had been a part of me since conception. Eventually my resistance gave way to acceptance and the realization that the best I could ever hope for was stability. Though for the past several years my kidney function has remained nearly the same, there’s no saying when my levels will dip down again. It could be in two days or ten years. Not long after I let go of the notion that I would wake up one day disease-free, I began cleaning out old things from my parents’ home. 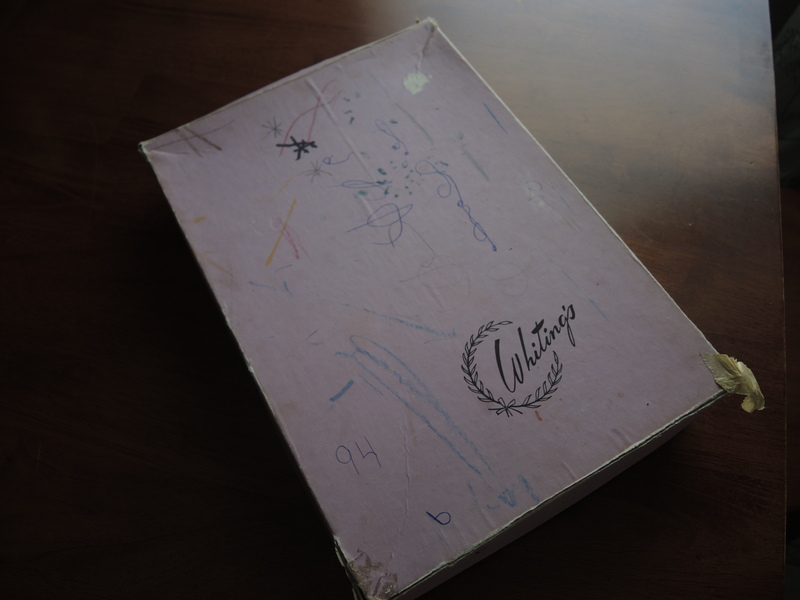 Digging through a bin that had been collecting dust in my childhood bedroom for years, I came across the old pink stationery box that I’d kept as a reminder of my early departure from life. And there on the cover in slow, deliberate handwriting was the number 94. None of us will ever know exactly when it is we will leave this life, but we can all go on living as if our days are numbered. Dreaming of death has taught me what it is to be alive. It has brought me closer to what it is I plan to do with the life I have left to live. I can still take steps in the direction of my dreams even if I don’t know exactly when this path will come to an end. I’ve decided that instead of a rapid decline to my death bed, my 30s will be my best years yet. I will begin this new decade of life in just over a month and I will honor the occasion by running 30 miles on my 30th birthday as a testament to my body’s strength, perseverance, and resilience. I will run for anyone who has ever beaten the odds and continued on with life. I run for the chronically ill, the silent sufferers of the world who, like me, have hidden their truths behind layers of resistance and shame. I run because no matter what my blood results may show, I know that I am healthier now than I have ever been before and I know I will go on living, breathing, and thriving. My kidney disease, what I once thought of as my greatest weakness, has proven to be my strength, the driving force that keeps me fighting for another day, another breath, another opportunity to be alive and to make the most of this life that I have been granted. In addition to raising awareness for chronic illness and chronic kidney disease, I hope also to raise money for the National Kidney Foundation. As an adult, after each new round of tests I would always turn to the National Kidney Foundation website to interpret the results and to provide guidance and support. If you would like to make a donation you may visit my crowdrise fundraising page here. Your support will be sent directly to the National Kidney Foundation. Special thanks to Susan Currie for providing the beautiful photographs that adorn this article.